A Navy corpsman who will receive the Silver Star said he was just doing his job when he shot and killed a rogue Afghan commando during a 2014 insider attack. 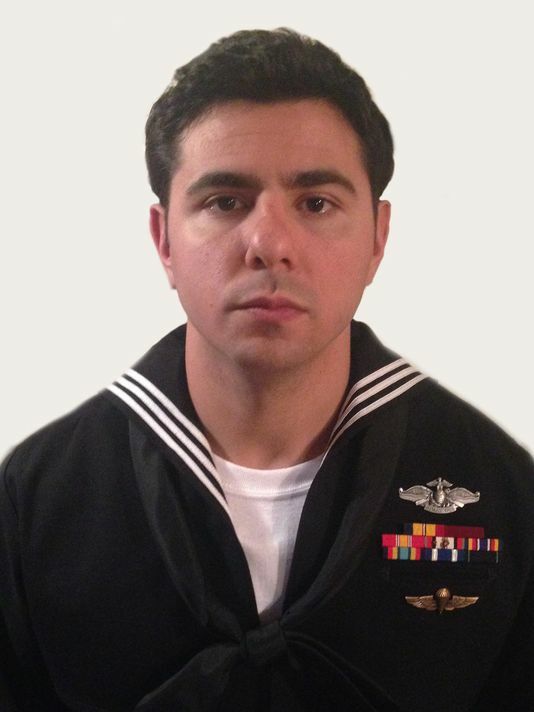 Hospital Corpsman 2nd Class Alejandro Salabarria will be awarded the nation’s third-highest valor medal Friday by Maj. Gen. Joseph Osterman, commander of Marine Corps Forces Special Operations Command, at a ceremony aboard Marine Corps Base Lejeune, North Carolina. While deployed with the 2nd Marine Raider Battalion to Herat, Afghanistan, Salabarria took out the rogue commando after the Afghan opened up on his team and fellow Italian and Afghan special operations personnel. Salabarria and the teams were grouped and waiting at a landing zone for two inbound CH-47 Chinook helicopters to carry them on a pre-dawn mission. What was weird in hindsight, he said, was that he had been assigned to a supporting element for that mission. He was normally assigned to the main element, which would have put him closer to the shooter. Suddenly the landing zone was shaken by a loud explosion — a 40mm round launched by an M203 grenade launcher — followed by successive bursts of automatic rifle fire. Instinctively, Salabarria and those around him hit the deck to assess the situation. “I heard screaming and saw the muzzle flash, but I wasn’t going to shoot until I knew who was who,” he said. A nearby interpreter replied that the senior medic had been shot and Salabarria dashed about 100 yards into the kill zone to reach the wounded corpsman. He had just begun assessing the casualty when he noticed the shooter 20 to 30 yards away bearing down on them. He said he didn’t have time to think, he just reacted: He threw his weight on the wounded corpsman, raised his M4 service rifle and put several rounds into the shooter. He waited a couple of seconds to ensure he’d killed the shooter before continuing to treat the medic. Another combat lifesaver-trained Marine arrived, and they evacuated the senior medic to a safer location. The two CH-47s, now retasked to evacuate the casualties, would be arriving soon and the landing zone needed to be cleared. Salabarria returned to move the other wounded and give further first aid until the helicopters arrived. Once the casualties were loaded up, he stayed with them through the flight to continue care until they arrived at the nearest medical facility at base Arena in Herat province. “[Salabarria’s] bold actions ultimately saved the lives of his fellow team members and Afghan Commando partners,” his Silver Star citation reads. Salabarria is not convinced his actions were heroic, however, and said he was just doing his job. The only importance of receiving the Silver Star, he said, was that hopefully it would bring some closure to the families of the fallen. His only request for Friday’s ceremony was that their families would be in attendance.